Pet Auto Safety.com was recently featured in an article by www.CessnaOwner.org. 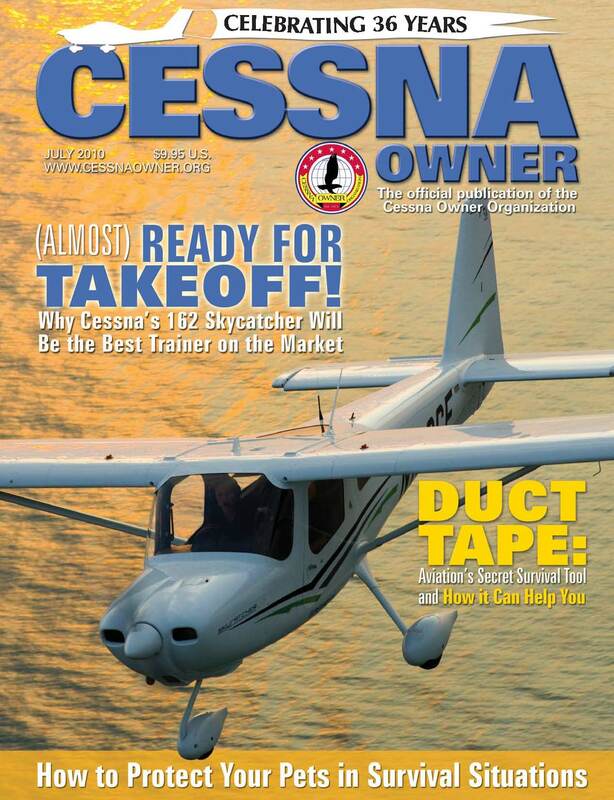 Cessna Owner is a magazine for owners of private airplanes. When asked if our dog seat belts would work in an airplane, we said, “Yes”. As long as the airline seats have seat belt harnesses for people, then our Tru-Fit Smart Dog Car Harness will work. Our Kennel straps will work in a private airplane as well. And some of our pet car seats will work in a private airplane if the seats are bucket seats. You can check out Cessna Owner at www.CessnaOwner.org. Unfortunately, the article about pet airline safety is not available online. But you can purchase the July 2010 issue to read the informative article. Sorry, we don’t have parachutes for dogs.